Our gorgeous showroom coming together nicely! 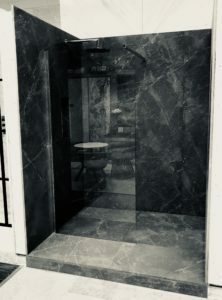 It’s such an organic, natural process and watching our stone being installed by our own very talented Gregory and Dave is actually a little bit magical… The Lunarface has to be seen and felt to be fully appreciated! Mesmerising textural Lunarface Carrara marble. Absolutely incredible take on a dateless classic material. 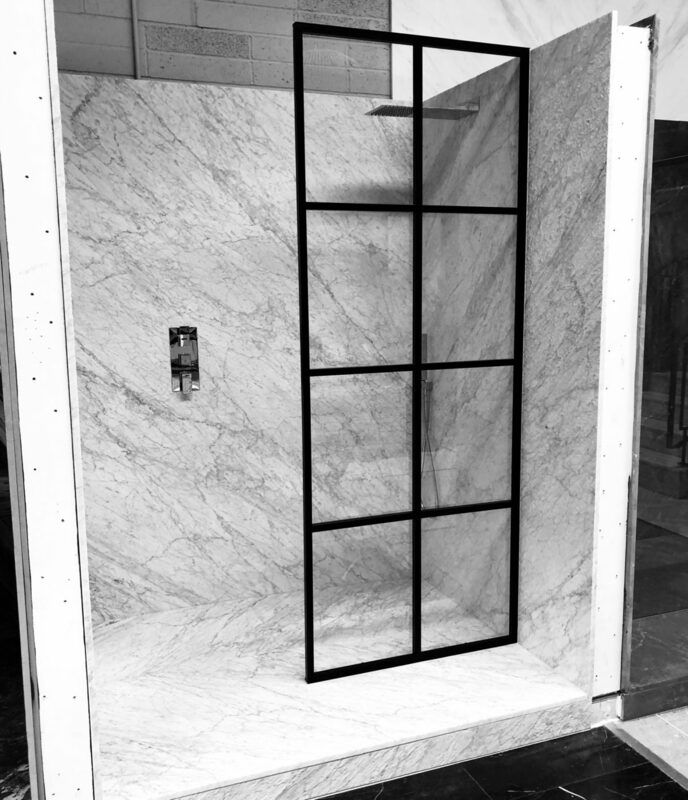 With the bold clean lines on the shower door the contrast is a true talking point. Deep, rich and luxurious marble, with timeless appeal in a soft honed finish. Combined with chrome fittings and fixtures, and a frameless glass shower door it is the ultimate in a simple, statement bathroom.